wow. what a show. another just insane phish show, but in a different way than normal. i'll start with the 'regular' phish and then move on to the 'costume' set. first set is pretty standard fare. personally never seen buried alive live before, so that was a treat. it was especially sick when trey very seamlessly worked a buried alive tease into an excellent ghost jam. definitely worth checking out this segment. a nice transition from ghost to crazy sometimes. free and more are standard, both well-placed in my opinion. i think this is the first more to not be a closer or encore; i like it much better this way. halley's is always a treat, and this version was especially so as they jammed it out a bit! trey even signaled to mike and page to stay in one of the ascending keys, a la hampton '97. while this jam certainly wasn't at that level, it was quite good. a bit of a ripcord into ocelot, but the ocelot jam seemed to have a little more kick than usual. theme pretty standard, a solid first-set workhorse these days. first tube was fire, with trey really going for it. skipping set 2 for now, set three was quite good in my opinion. certainly dragged a bit during the 4th quarter, but i still loved meatstick and antelope. however, the SYSF thru Numberline segment is excellent in my opinion. three true jams in a row. SYSF set the tone early with a quick move to type ii. tweezer was magnificent. while it was short, the band really went for it in the minor key section, and then beautifully switched to major, and then again back to minor in a new key. it felt like a composition on the fly in the best way possible. really incredible egalitarian jamming, which each member contributing and listening to each other. the jam petered out a little earlier than i would've hoped, and when ASIHTOS began, i was a little skeptical. however, as usual, the band delivered in a serious way. 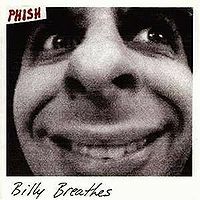 this ASIHTOS is not to be missed, with trey employing the whammy pedal in a soaring, emotional way a la '99. the transition from ASIHTOS to numberline was slick, and i personally think that song works in this spot (not a closer or encore, but keeps energy up enough.) trey always delivers the good during the solo, and he did so here. all in all, very solid set. certainly not the best frame of the tour, but quality in many different ways. don't miss the tweezer > ASIHTOS specifically. ok, now onto set 2. oh boy. receiving the phishbill was a surreal experience; how was it possible that they were doing something this obscure? my first thought was certainly disappointment, as i had been hoping for some classic album for which we're all hoping. i pushed those thoughts away, wanting to go in with an open mind. turns out i didn't even need to, as phish delivered again. the first few songs i was a bit skeptical, but they really hit a stride with Say it to me Santos (a song i think will be in rotation), FInal Hurrah (containing the now-iconic "faceplant into rock" line), and then the absolute heater that was Death Don't Hurt very long, with trey absolutely going off. while those were my favorite tracks, i really enjoyed almost all of them. just another incredible presentation of original music by phish, a la 2014.
on that note, i am personally in the camp that believes all of these songs are originals. 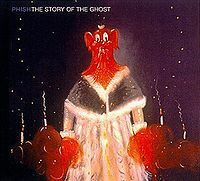 the phishbill's writing is too crazy for no one to have ever heard of this before; if this band existed, and their story is as crazy as phish says it is, someone would know about it. furthermore, this is a logical progression of some of the recent halloween shows. '13 was billed as their music, and it was. 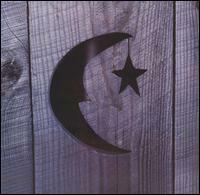 '14 was billed as a real album, which it sort of was, but it was really their music. and now '18 was billed as a completely different band, and it turned out to be their music. just goes to show again that phish is not willing to become complacent. they could easily have played like physical graffiti or are you experienced?, and everyone would have been very pumped. but instead, they continue to push the boundaries of their own tradition, while staying true to their identity as goofball pranksters. god, i love phish. We were treated to a short yet energetic first set. The frenetic weirdness of Buried Alive set the tone for the night. The Free, More, Halley's Comet combo was a nice treat for me. The last time Phish played More in Las Vegas was a very emotional ride for me - it was a song that I needed at that moment in my life. It's had a special place in my heart ever since. The groove in Ocelot was lovely and added to my level of happiness. I know a lot of folks don't love that song as much as I do, but I've always been a fan of it's easy and jaunty flow. For the first time ever, Theme from the Bottom made me cry from utter joy. By the time we got to First Tube, I was giddy. Trey was whipping around the stage like Pete Townshend and it was clear he was absolutely stoked. And this was just the first set. The Halloween set was a blur. I was confused, delighted, bewildered, breathless, and highly entertained. I couldn't stop smiling, even as I screamed to no one in particular "WHAT IS GOING ON??" It was so Phish, yet so 80s, and pure joy. The suits, the dancing, and the lights. My god, the lights! The squares about the floor added an element that reminded me very strongly of Arcade Fire. In fact, the sound itself, with its mix of percussive 80s layers put me very much in mind of Arcade Fire. After the Halloween set, I tweeted "it's like my two favorite bands met on some weird psychedelic 80s cruise and a had a luminescent baby. Kasvot Vaxt = Arcade Fire?" It was a straight-up Faceplant Into Rokk. Phish surprised us. AGAIN. How do they keep doing that? The 3rd set we all had to pretend like that bizarre and wonderful set hadn't happened. Back to business as usual? I can't accept that, Phish! That set changed us. Nonetheless, the show must go on. I'm always eager for my next Tweezer, so last night's was a nice gift, especially after what I thought was a lackluster Tweezer from Dicks. 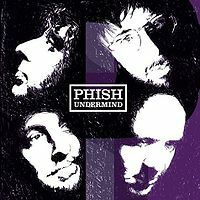 Backwards Down the Number Line is one of my favorites (I will fight you) and it had some great moments that I think that even some of the most jaded fans must have appreciated. A shiny Bug, followed by a hearty Antelope finished out the set. Finally, a rousing Loving Cup and always-appreciated Tweezer Reprise ended the rather overwhelming night. I waited a while to post this. This night is a movement. A revolution. It was so great that folks needed more time to wrap their head around it. This show is in the highest Echelon of Phïsh. With Bakers and Cypress ans Denver 97 and Gorge 98 And New Years 95. PERIOD. First set came out as strong as any great show ever. Second set was a movement. The one liners that we all need to become better humans. Words to live by. We get one chance on this earth. How are you going to spend it? Third set unlike any other third set. This show will remain underrated due to the opposition of haters who are mad that they were not there. The rest of us who were, know that the entire building was singing the chorus (due to the repetitive nature of each line) and fist pumping it. As if we only had that moment to live! This show is being talked about constantly still. And in twenty years it still will be. What a show, simply incredible from start to finish. So much energy and enthusiasm. 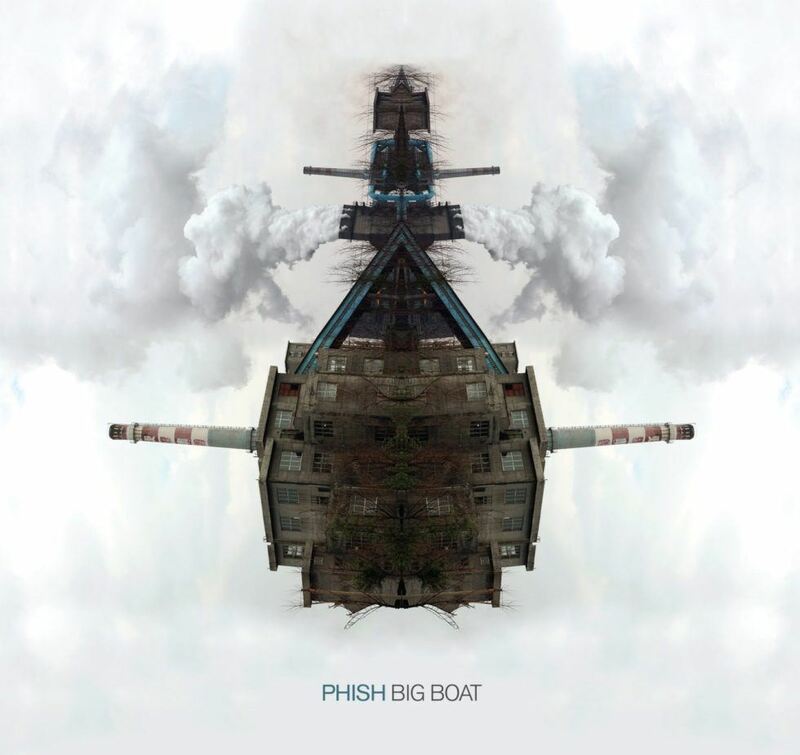 I liken the whole week to BD but better because we all new phish. First set had such high points and great playing. No slow songs just pure energy and first tube set closer was phenomenal. The curtain reminded me of the only other phish show that has just blew me away in the last 20 yrs, 10/31/14. The sounds were different electronic feel. And then trey comes out with the mic and no guitar...uh oh, what is this? 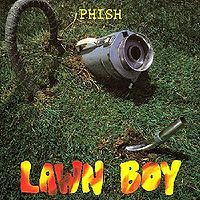 It was great, and the songs were just great; quirky, eccentric, humorous and all phish. I’m the glue in your magnet, you can recycle the final hoorah just awesome! 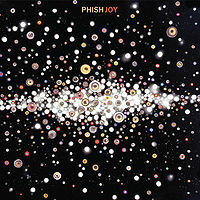 A new album that is the phishiest, like the haunted house but better because there were lyrics and they were just phish. They turned the whole venue into the haunted house and they remade themselves, if they like it and that’s what it takes for them to re-energize...do it! Boy did they, just great. I would advise that you go to the next Halloween show, maybe an album this time though. The rest of us who were, know that the entities building was singing the chorus (due to the repetitive nature of each line) and fist pumping it. As if we only had that moment to live! Fairly standard 1st set, with some pretty good flow in the first four. Would have been nice if the Ghost had been taken trick or treating around the neighborhood like some other early set versions this year, but it was still a good way to ease into the night. Nice Buried Alive teases on the tail end of Ghost, if I recall. Crazy Sometimes is super underrated....they did some weirdly beautiful things with it tonight, especially in the last few minutes. 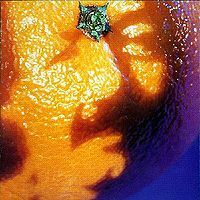 Really nice to hear Halley's jammed out....been too long. Loved the Sweedish Phish gag of a second set. The new songs are intriguing and had so many new grooves and textures that I can't wait to get down to later on. Kinda felt like the first half of the set was stronger, but will need to relisten to everything. Pretty sure I heard the same I'm a Man riff from trey that he was working during the Chicago Tube somewhere in there....really need to consider what space smells like. Encore was the only reason I came here to comment. I think that might be the third straight 3 set show that's had a Loving Cup encore? Reprise had everyone walking out on the good foot.....thank goodness they have 3 more nights in Vegas to take things up a notch. Originally, I thought that having the nights off and extra time to prepare for a Halloween show would pay off. It did not unfortunately for us on the rail at home. Don’t get me wrong as this was a blast and worth staying up until 5am live streaming on the east coast. I just think this was pulled together knowing there are three more nights ahead. 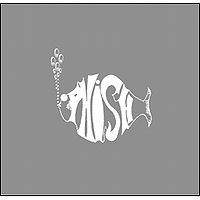 Watching on live phish removes the energy from the crowd (not to multiple streaming issues on live phish side**unconfirmed**) so I hope the folks on hand felt differently. A lot of repeats, an obscure second set selection, all of it leads me to believe that something huge is in store for the days to come. All I know is this was still a great show, and while the Hampton and Rosemont shows are still up above in my book, I think the real heat is yet to come. While this may sound like a negative review to most, it’s more of a realization that I’m going to be one of the unfortunate souls to miss the end of a sick fall tour and Halloween run because it’s only going to get nasty from here. First of all, I liked the music. I want to say if they'd debuted these songs over the course of the summer and fall, I would have re-listened to them multiple times, taking each one as its own entity and tried to imagine how they'd play out as big jams, etc. (which is how I listened to albums back in the day like "Billy Breathes," "The Story of the Ghost" and "Farmhouse," since it wasn't like the Maxell XL-II tapes were piling up in my mail box.) But I can't help comparing 10/31/2018 Set II to Set II of 10/31/2013. At least then we knew the gimmick (for lack of a better word) beforehand. And it turned out well: A full eight of those songs would end up on the album that became "Fuego." I'd like to hope that things turn out well for some of these tunes too (I'll have to give it another watch and probably a few listens.) I just can't help feeling a little "been there, done that." I love that the boys can feel comfortable enough to debut an entire album's worth of new material during one show, especially in this context. On the other hand, I feel like we as phans have come to expect... maybe not more, but... no repeats? In conclusion, I love the idea of debuting a lot of new material in a confined space. Just not Halloween. Maybe they should do something akin to the Island Tour during the Spring every 3-5 years or so?